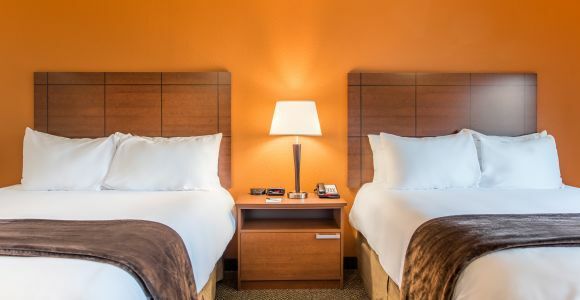 The best choice for convenience, comfort and value, My Place is ideal for both short-term and long-term travelers! 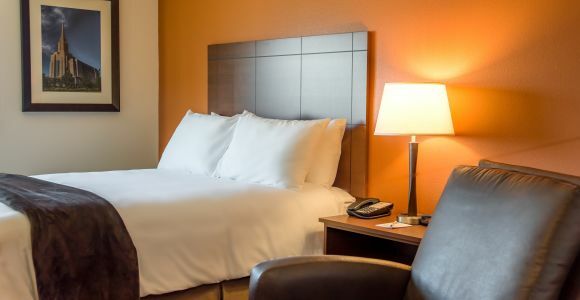 Whether you're traveling for business or pleasure, our Salt Lake City/West Valley City, UT hotel offers an array of modern amenities to ensure your comfort. Make My Place Salt Lake City, Utah your place! Family theater offering a variety of Broadway & Off-Broadway favorites along with theater education. Theater chain offering all-digital screenings of new movies with reserved seating; some have IMAX. The Utah Cultural Celebration Center is a multi-use facility available for rent as well as a place that offers world class programs, concerts, events, and gallery exhibitions for Salt Lake County and the surrounding areas. Longtime country dance hall with a full bar & bar eats, plus a mechanical bull, pool & karaoke. Black Bear Diner is a restaurant chain in the western United States which serves homestyle and "old-fashioned" comfort foods. Festive Mexican restaurant with live music, margaritas & a weekday all-you-can-eat taco bar. Fresh seafood with Louisiana-inspired sauces & a West Coast Asian twist in a rustic ambiance. Easygoing cafe offering American breakfast & lunch items such as eggs, hash browns & sandwiches.